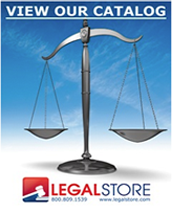 LegalStore.com is pleased to pay shipping expenses on all orders shipped within the contiguous 48 states. Express delivery, orders shipped outside the contiguous U.S. and special marketing products orders will be charged actual freight. All orders under $50.00 will incur a $9.45 handling charge. Please see “Terms of Sale” for additional terms. In-stock inventory orders received by 1:00pm EST via online, phone or fax are shipped out the same day from one of our New York location. Please call for production lead times. Guaranteed Priority Service is available to expedite production for customized items at an additional expense. We have next day delivery to most major metropolitan areas throughout the United States. To guarantee next day delivery, we recommend overnight shipment.